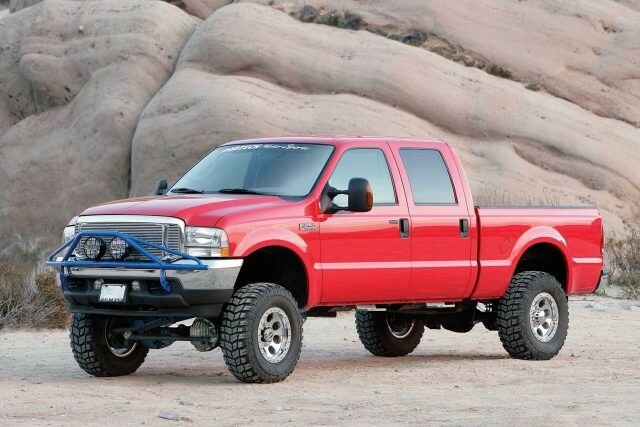 At the top of our Super Duty line is our famous 4 Link System that provides unsurpassed articulation and wheel travel. Large 2" OD heavy wall links feature race style 1" Uniballs for superior strength. Thick 1/4" steel brackets secure the 4 Links to the frame without cutting or welding. This 4 Link system includes our replacement Coil Springs. 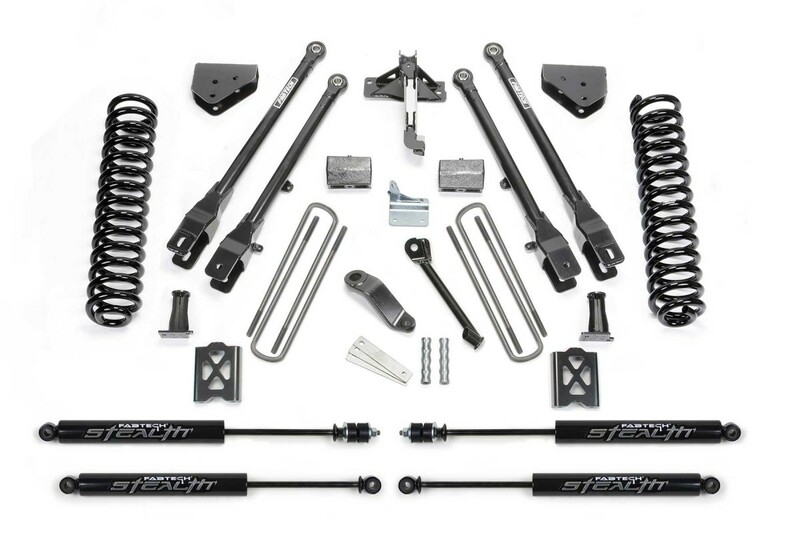 The system also includes Billet Sway bar links, Trac Bar relocation bracket, Pitman Arm and more. 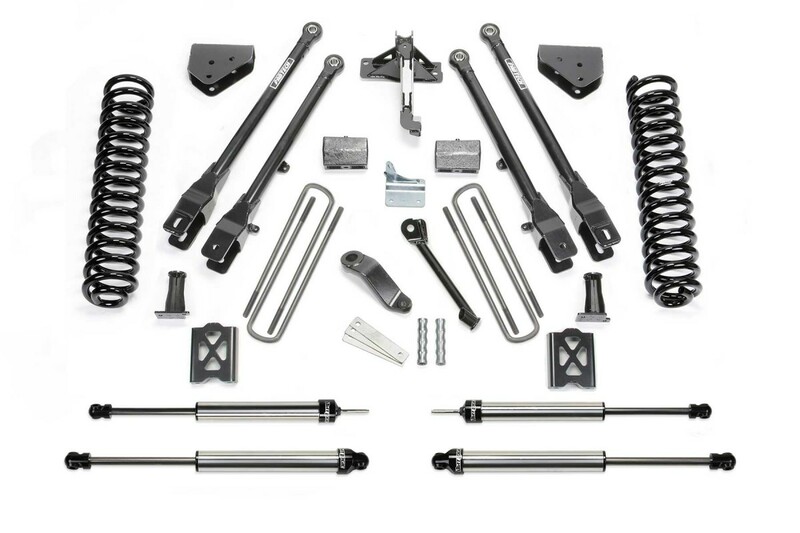 Rear lift is a block & u-bolt kit.